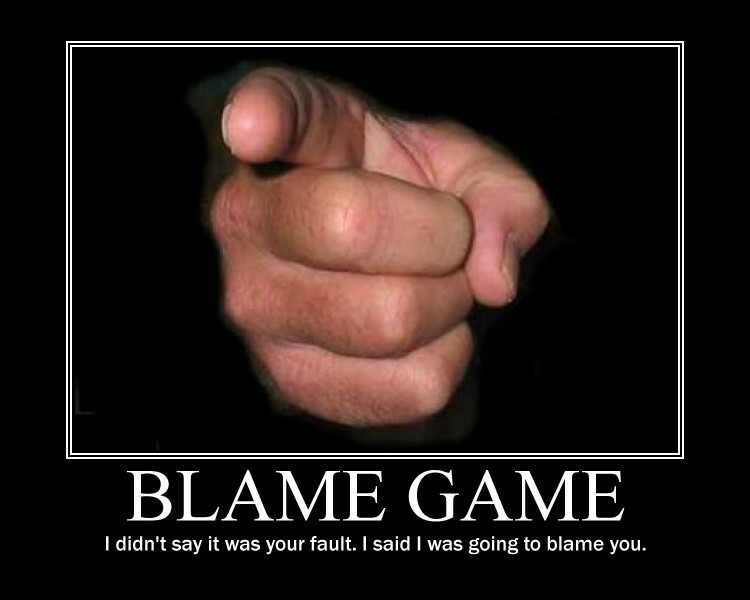 Today, our society is scorching in its own lapses called ‘blame’. It’s really annoying and embarrassing that the rules of the tongue of those who are ‘in power’ and ‘in pursuit of fame’ are all blames and denunciations. It is now somehow becoming a system of thought for those who want to hide the Truth and to reverse it as something to be ignored. Why blame and not to tell the real Truth? Indeed, Truth is a shame for the righteous and for the powerful, so they engage themselves to the vicious cycle called ‘The Blame Game’ for the sake of power and fame. Unfortunately, who suffers the consequences? It’s not them, but us; the society. In this emerging scenario, it’s hard to reconcile that today we are being carried by the bandwagon of fools in our society which annihilates our perception and hope for enlightenment and truth. Now, everything is being blamed. When there are unfortunate events; when there’s a blitzkrieg of stupidity and foolishness in the authority and society; and when there are accusations and malversation, denunciations or simply ‘blames’ enter the picture through pointing fingers. The point finger takes now an important role in our society. It’s silly, but that’s now the fad of every ruler who overtakes the throne of democracy. Hence, democracy depends on its power of finger pointing overrule our society. Truth lies on the persuasion of the point finger to predict and figure out who tells a lie and who is the enemy of the state. It’s unbelievable and unacceptable, but that’s the reality on how our society is being controlled and governed now by our leaders who popularized the new system of governance called “The Blame Game’ and sad to say, our society became its specimen ad experimentum. Now, we suffer but the problem is we still close our eyes on the reality that we are becoming victims of ‘The Blame Game’. When we will wake up on the reality that we are being fooled around by so many denunciations and blames? When will be the right time that we will stand up on our feet and say; ‘the game is over; and we need to move on and oust the fools?’ I hope one day it will happen and realized.